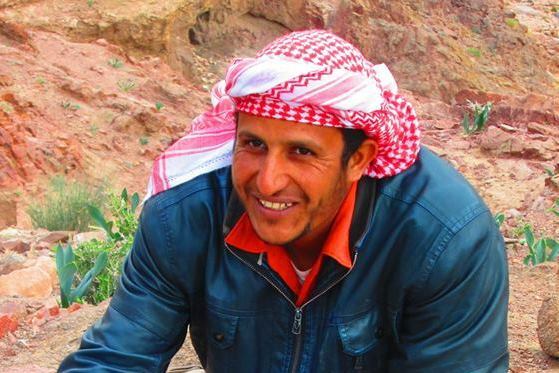 In the next in their series featuring Jordan, Yahoo Travel’s “A Broad Abroad” team visit Feynan Ecolodge and meet our guide Suleiman who introduces them to famous Bedouin hospitality. You can watch the full video here. It’s always great when we have press visiting Feynan as we are really excited to share our project with more people. 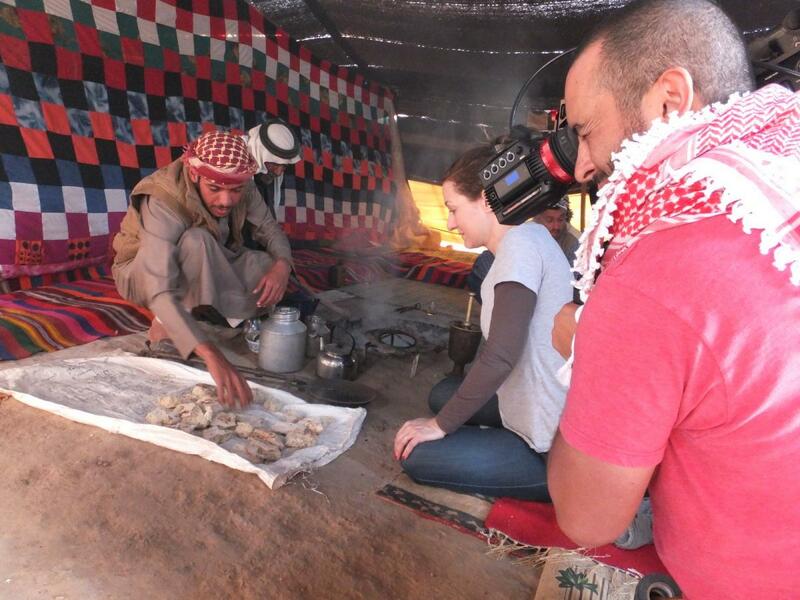 But filming in Bedouin tent is not straightforward. Firstly, you have to consider the space. Even for a small production like the Yahoo Travel TV filming, there is a small team of 4 trying to fit in a relatively small space and trying to keep out of shot. 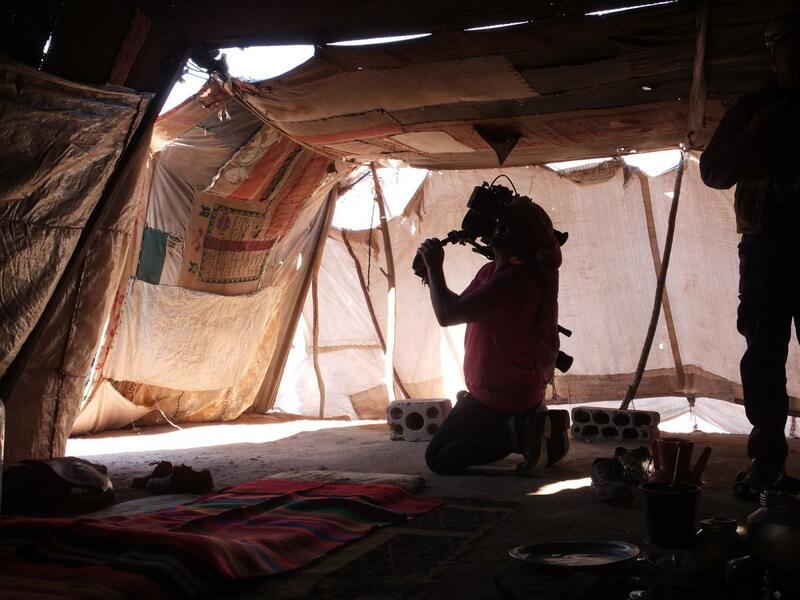 Then there is the light – it has to be natural as there is no electricity in a Bedouin home, so you have to rely on the tent being positioned just right, although that’s something the Bedouin are very good at. 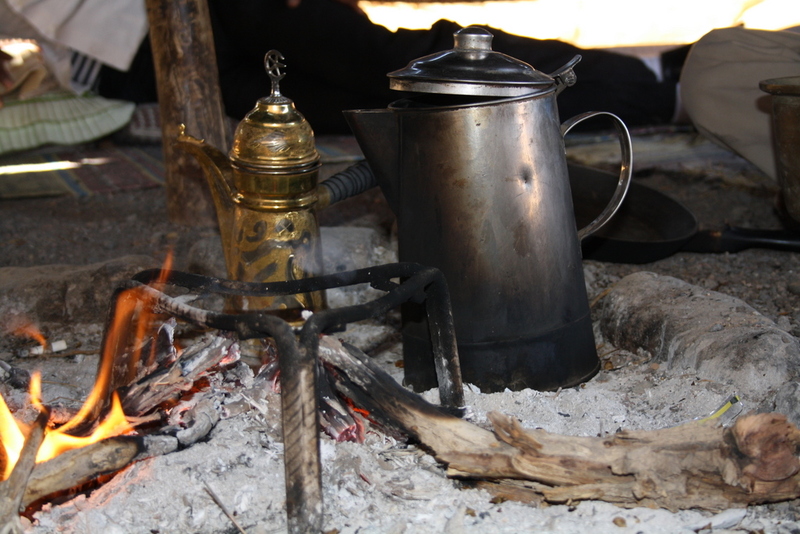 Thirdly, the fire – it’s the heart of a Bedouin home and central to social activities because it provides tea, coffee, food and warmth. But on a hot day with many people in the tent, it’s defintely not warmth you need! Finally you have the normal comings and goings of Bedouin life – someone stops by to say hi in the middle of filming, someone else wants to help or make sure you are comfy and moves things around. But at the same time, that’s what makes the setting so authentic and real – these families are taking some time out of their normal lives to share their traditions with you and everyone just wants to make sure you are comfortable. 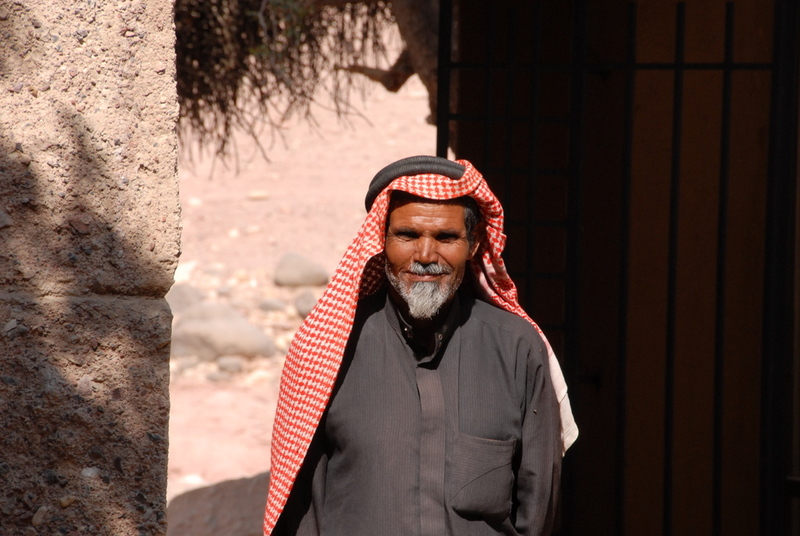 That’s the hospitality that the Bedouin are so famous for and our guests and press have come to experience. Here are some behind the scenes snaps from the A Broad Abroad team’s visit to Feynan! On the Dead Sea Highway, between Ghor Saafi police station and the 181km Aqaba milestone, lies Jordan’s best kept bakery secret: taboon. On our journey to Feynan Ecolodge the other day, me and my colleagues had wound past the Dead Sea and were on the flatter, straighter road that passes lots of tomato farms well on our way to the lodge from our office in Amman. “Why are we stopping?” I asked as we pulled over seemingly in the middle of nowhere and Mohammad Ali, our lodge duty manager jumped out and dashed across the road. Mohammad reappears from a small hut by the stall and beckons for Bisher to follow him. They disappear behind a low breeze block wall where the lady minding the stall appears with a bucket with bread in it. 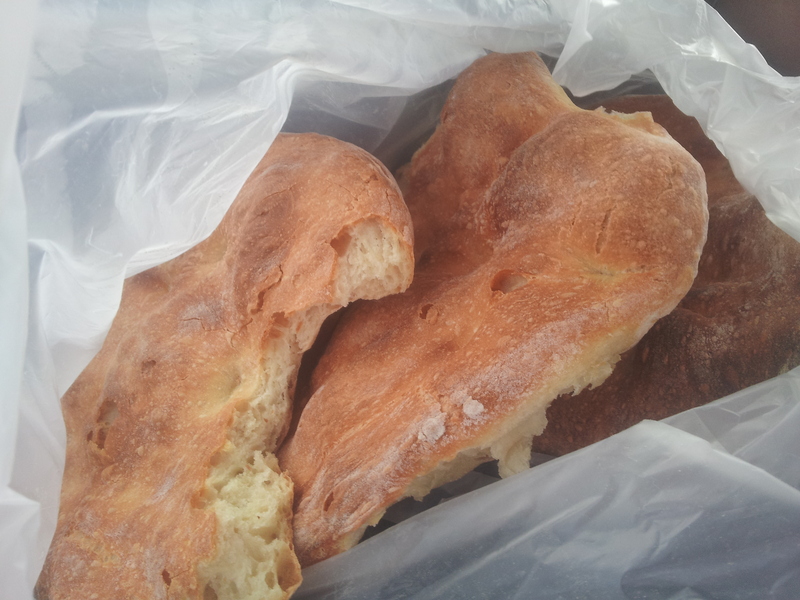 Back in the car, Mohammad passes me a bag with four round loaves, steaming fresh in the plastic bag. Taboon is the name of this bread. It’s flat and round, fresh from the oven and nearly too hot to hold. But the smell is too enticing so we tear it and pass it round: golden and crispy on the outside, flaky as you tear it, soft on the inside and tasting of all the wonderful smells of a bakery. Taboon is also the name of the oval, domed oven that the bread is cooked in. The flat, round loaves of bread are laid inside the oven on top of hot stones, over a fire that is sunk into the ground. The whole thing is covered in sand whilst the bread bakes in its underground oven with the hot stones creating the unique dimpled appearance of the bread. This is simple bread, eaten by people all over Jordan and my colleagues discuss the taboon they have at home or in Amman. I’ve just not come across it before, or at least not like this. Simple though it might be, this is simplicity at its best. It would be great accompanied by some of those tomatoes the lady is also selling, or just with local olive oil and Jordan’s famous zaatar herb mix. From the silence in the car, it’s safe to assume that we were happy just to eat it on its own, fresh from the oven, pure baked bliss. Even Bisher concedes Mohammad was right on this one – it’s the best he’s tasted. Our stop at this bakery was a complete surprise so I didn’t get a chance to take much notice, let alone a photo of the location, the stall, or the talented baker who runs it. But perhaps that’s a good thing – I can leave you to discover Jordan’s best kept bakery secret for yourself. Back on the road, as we munch on the delicious bread, a sly smile from Mohammad says he knows he was right; there is a baker on the side of the road where a woman makes the best bread in Jordan. And I think I’m going to go ahead and agree with him. We were very pleased to welcome the “A Broad Abroad” team from Yahoo TV to film at Feynan Ecolodge last week. 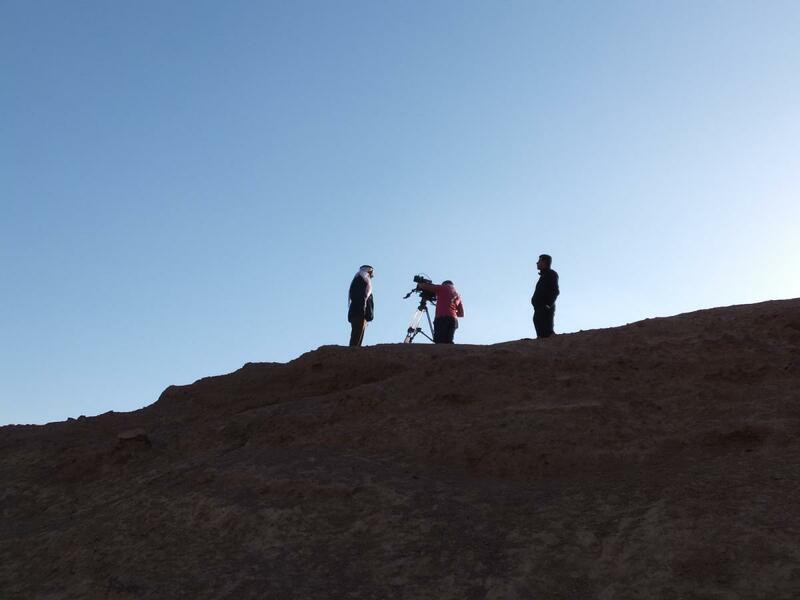 They will be making a series of short travel programmes all about Jordan which we are really excited to be a part of. As well as their normal filming, one of their cameramen Ricky Montalvo filmed this short timelapse sequence of their night at Feynan. You can follow Ricky (@rickymontalvo) and Feynan (@Feynan Ecolodge) on Instagram for more! Digital detoxing: Could you? Will you? We all know that we have become slaves to a new master: the internet. Emails, Facebook, Twitter, WhatsApp, Instagram, Snapchat… We are connected 24/7. 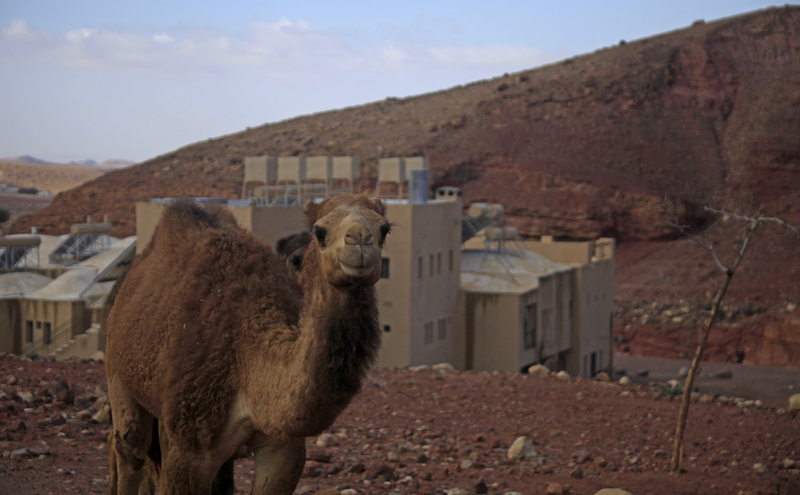 Even our Bedouin community in Wadi Feynan are as likely to pick a spot for their goat-hair tented home based on mobile phone signal as much as any other factor. But what happens when we can’t be connected? Is it a good thing? With less connectivity, there is less distraction. That might make some people shudder – the fear of missing out. But it’s interesting how quickly this gives way to a sense of calm and peacefulness. There is the initial panic when the little bar of signal finally fades, but after a while you are distracted by the scenery and that thing you were worried about seems to lose its importance. Life is a little slower, a little more rustic, and maybe a little less demanding somewhere like Feynan compared to what you are used to. But the plus side is time to stop, think and re-evaluate. It’s the perfect place to think about that novel you want to write or what your priorities should be for the coming year. But best of all it’s a great feeling to breathe in the fresh desert air and just let your mind wander. Not glancing, or looking through the screen. Whether it’s soaking up vast landscapes, the quick flash of blue movement that alerts you to a lizard, the palm trees growing half way up a sheer sided canyon, or the way the Bedouin man flicks his wrist to make music while crushing coffee beans; there are lots of interesting things to catch the eye that are worth a second, harder look. 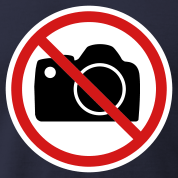 Of course you can always take a picture and share it later. But whilst you don’t have signal, you can take the time to remember the sounds and smells that went along with the view. Do you notice that it makes a difference when you are talking when someone actually listens? Really listens. Looks you in the eyes and considers what you are saying to them. Whether they agree or disagree with you, it doesn’t matter – you made them think. Without distractions it’s easier to do this. People listen to you and, more importantly, you can listen to them and learn! Learn facts, a skill, or something about yourself. There are plenty of things to learn out there and it’s more fulfilling when we give it our complete attention. Like learning about another culture; really understanding what your Bedouin guide means when he says he feels he is part of the landscape or questioning why that goat pen has fences higher on one side than the other. From the trivial to the interesting to the absolutely mind-blowing: we should never stop learning. Without the constant distraction of checking your notifications, you can dedicate your time to doing other things and focus on really experiencing them: from the awe of a slot canyon, to the smell of the coffee, to football with some local children, to the sparkle of the stars. There are lots of experiences to be had in the world and we get more out of them by focusing on the moment. Deciding to turn off your phones and iPad doesn’t even have to translate to a complete ban. For example there is wifi at Feynan, but it’s only available in the lobby meaning when you do go to find the internet – that’s your intention. You can sit and dedicate time to checking your email or sharing your photos. Ironically you might even get more done because you focus your time on it rather than constantly dabbling. And once it’s done, you can walk out of signal range, switch off again, focus on doing something else with your full attention. So could you do it? Or more importantly, will you? From the open rooftop terrace of Feynan Ecolodge, guests lie back on pillows and floor-mattresses to gaze up at uninhibited views of the Milky Way, shooting stars, and even planets. Feynan’s remoteness further lends to stargazing as there is virtually no light pollution (ever notice how only a handful of stars appear in the city?). In Feynan, thousands of cosmic bodies are visible to the naked eye. From September 15th, guests that wander up to the rooftop terrace after dinner will be able to gaze on all of those stars and planets with even more detail with a new 10 inch Meade telescope. A seasoned astronomer has been training staff on astronomy and the proper use of the large telescope. With this telescope, guests will be able to see the rings on Saturn, the details of nebulae and faraway galaxies. For reservations, please visit: http://feynan.com/reservations.php#flash01. Prince William and Kate, we’ve heard you might be coming to Jordan on your honeymoon. 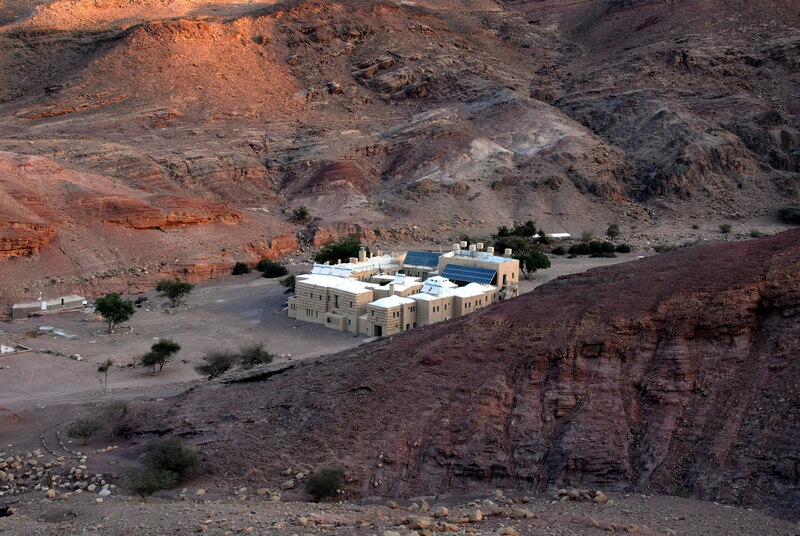 Here are the top 12 reasons why we believe you should spend some time at Feynan Ecolodge in Dana Biosphere Reserve. You’ll have your very own candlelit room. How much more romantic could it get? You’ll dine under the stars by candle light in the desert. Kate will be swept off her feet. Your honeymoon will be greener than green as all of your electricity and hot water needs will be generated through renewable resources. 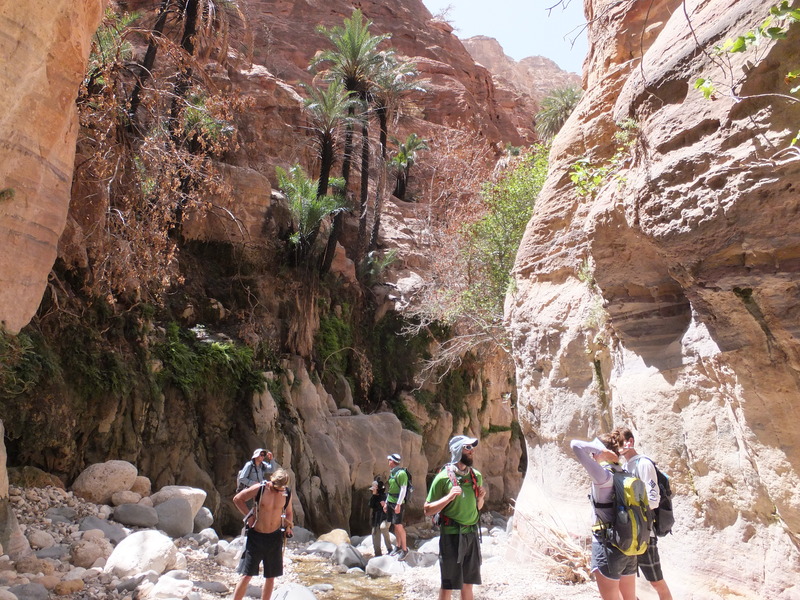 Get lost in Dana Biosphere Reserve as you hike, mountain bike, and take canyoning adventures. 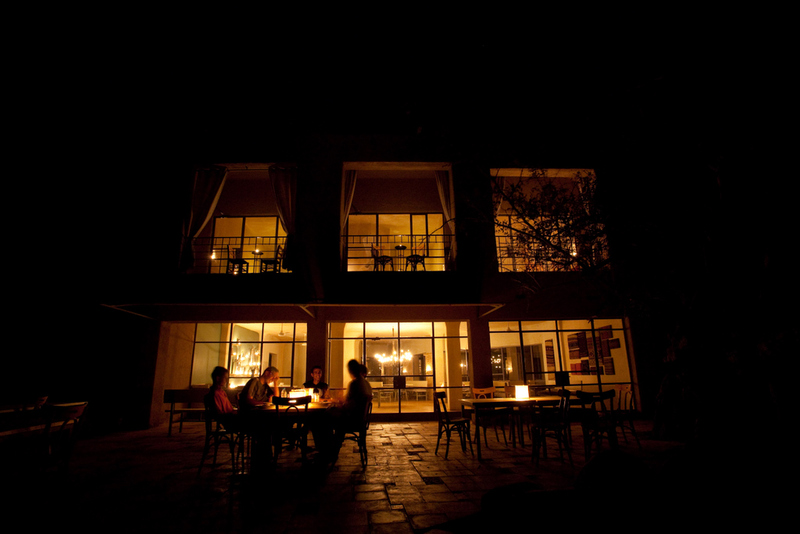 You can stretch out in the comfort of our rooftop terrace to gaze at the stars with virtually no light pollution. You’ll be treated like royalty (oops, you already are) by the local Bedouin renowned for their hospitality. A portion of what you pay is dedicated the conservation of nature and protection of endangered species in Dana Biosphere Reserve. Bedouin party for three days instead of one: The Bedouin of Feynan take three days to celebrate a wedding, and we’ll throw you a zeffeh (traditional Jordanian dance and song) when you arrive. 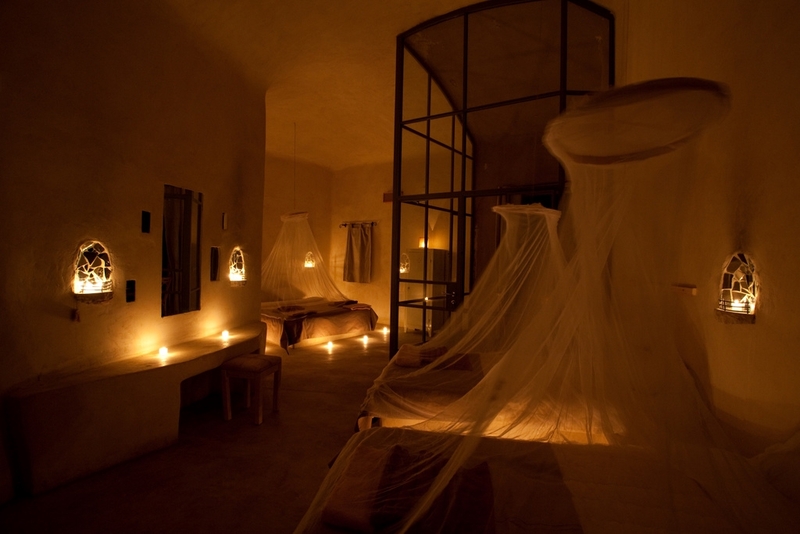 Paparazzi free: Feynan is 8 km from the nearest road and is secluded in a quiet, breathtaking corner of the reserve. 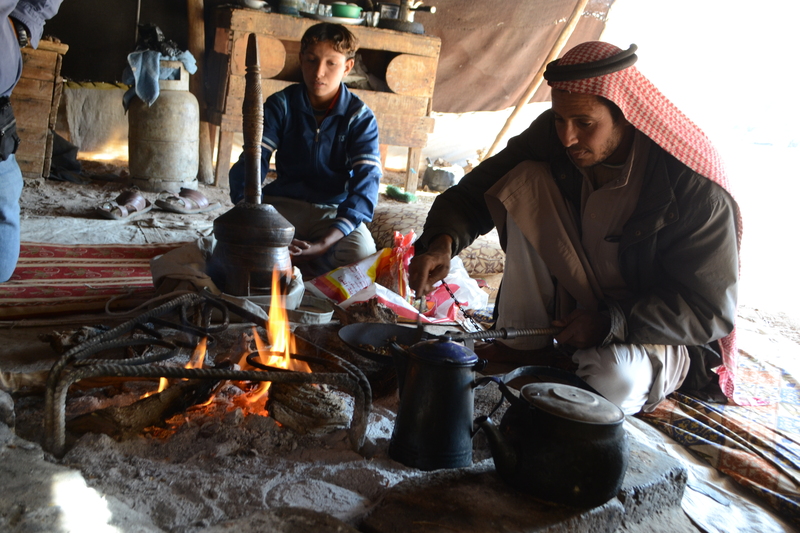 Bedouin drink more tea than the British: You’ll always be welcome to a local family’s tent whenever you fancy some tea. You’ll take a ride on the world renowned camels of Abu Abdullah. 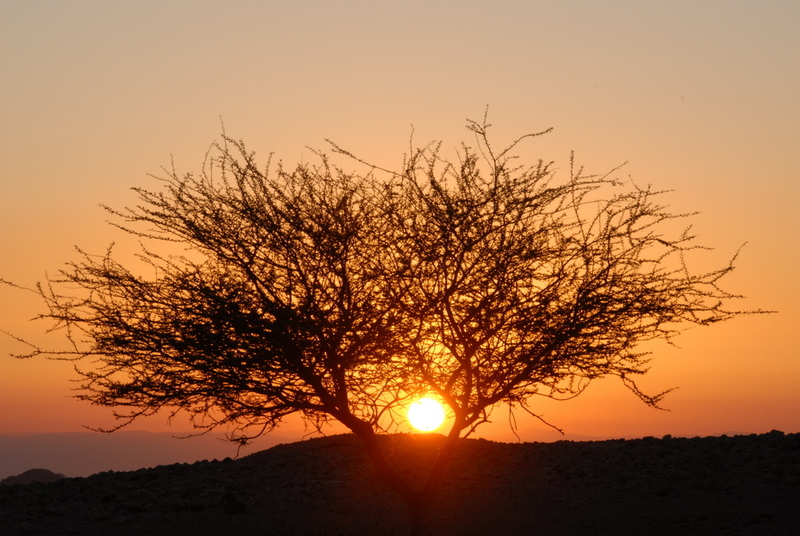 You’ll get to see the sun dip into the sandy dunes of Wadi Araba on our complimentary sunset hike that departs the lodge each evening. Feynan Bio will be a regularly featured section of Feynan Ecolodge’s blog. This section will introduce our followers to the staff and community of Feynan. Our first edition features one of our local guides. More bios will be published soon, including elders of the local community. Nickolas Neibauer (NN): Tell us about your family’s history. 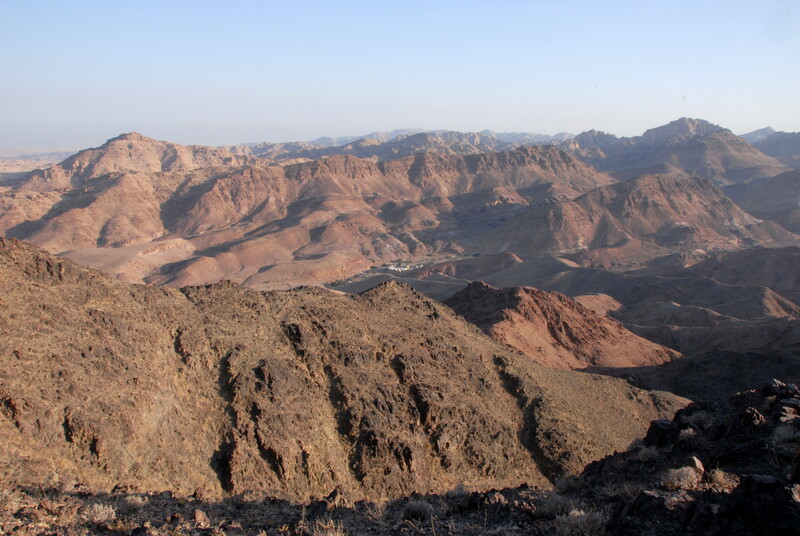 Ali Hasasseen (AH): In 1972, my father (Abu Khalil), came to Feynan to work for the Natural Resources Authority (NRA) in their exploration of the area. They were interested in potentially mining the area’s copper deposits. Before 1972, my father lived a nomadic life travelling seasonally with his family and their herd of goats and sheep between Shobak, Tafilah and Karak. The NRA decided not to mine the area. After living in the Feynan area for 6 years, my father married and has resided here ever since. NN: Tell us about your childhood. AH: I lived in Feynan my whole life. I went to school at the Feynan School for 10 years. On weekends and holidays I would help my family, as a shepherd with our goats in the hills and valleys around Feynan. We have around 100 goats and I would take them up into the mountains to find food and into valleys to the springs for water. NN: What was the average day like for you as a shepherd? AH: I would wake up around 06:00. By 07:00 I left our home with the goats and a donkey that carried my supply of water and food for the day. At around 10:00 I would stop with the goats to make tea and breakfast – usually vegetables, bread, sardines, tuna or occasionally some meat. We would then move on with the goats until around 14:00 where we would stop for lunch, which was usually similar to what I ate for breakfast. An hour and a half before sunset I would bring the goats back home in time to milk them and feed the kids. Once my chores were finished I would meet all of the local kids to play football in front of Feynan School, which was the best part of the day. After dark, I’d return home to have dinner with my family. NN: What would your family have for dinner? AH: Fatteh, which is a popular dish here, broken bits of dried homemade flat bread in seman (a product made from salted goat and sheep butter). Other times we would have lentils or freekeh, a cereal made from wheat. Then after dinner, we’d visit our neighbors or host them, and then go to bed. NN: And what did you do when you finished studying at Feynan School? AH: Feynan School finishes in the 10th grade. For my last two years of studies I went to the high school in Qurayqura, and lived with my uncle because it is around 8 km from Feynan. 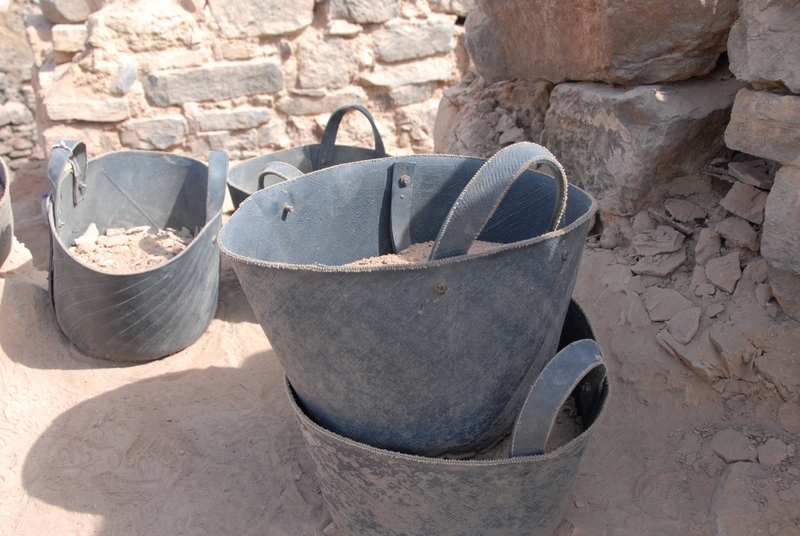 During the summer holiday, Feynan was being built and I worked at the site, helping build the lodge. I passed the Tawjihi (compulsory exam to graduate high school in Jordan) and then went to Mu’tah University in Kerak to study Archaeology and Tourism for four years. I graduated with good marks and am the first person in my family to earn a university degree. NN: What did you do when you finished university? AH: I came back home and taught English for 6 months at Feynan School. There was an open position at the lodge for a guide, so I applied and received the position. I have been working at Feynan now for 1 year and 2 months. NN: What do you think of being a guide? AH: I enjoy my work very much, my favorite thing is being able to meet people from all over the world that visit Feynan. 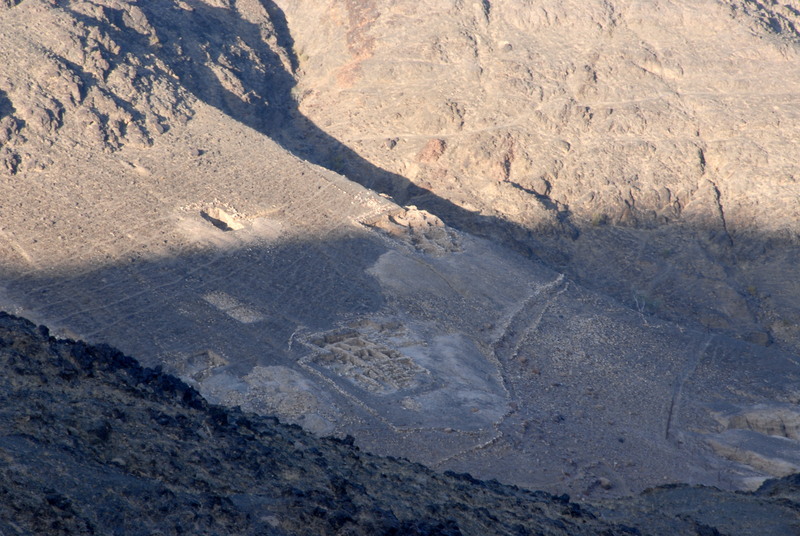 NN: What is your favorite hike at Feynan? AH: Wadi Ghwayr. Specifically, Wadi Nakheel (Palm Canyon) that is a part of Wadi Ghwayr. It is my favorite place in Feynan, there is a small gorge that you can hike through, water and it is green! It also happens to be the route from my home to my fiancée’s village! NN: So you are engaged Ali? AH: (Responding with a giant smile)Yes, since November. Inshallah(God willing), we will marry soon. NN: What kind of animals do you see around Feynan and how common is it to see animals? AH: While out hiking, I’ve seen golden jackals, hyenas, ibex, fox and many birds. 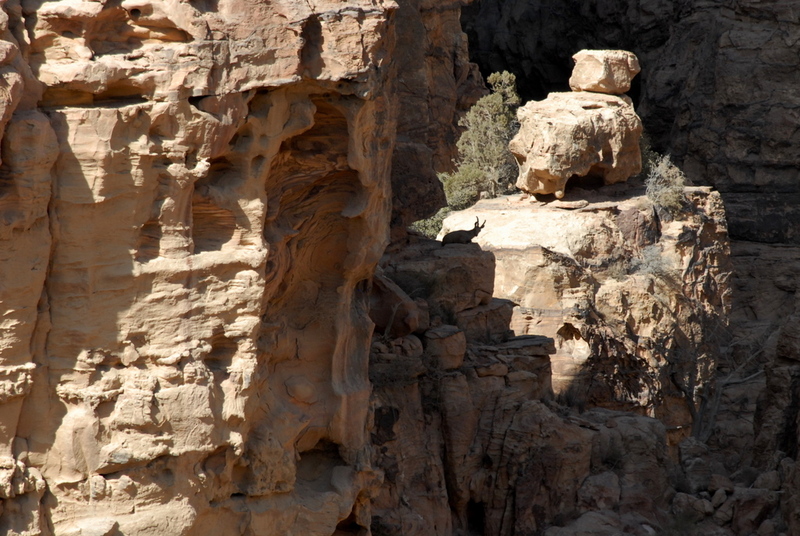 On the Wadi Dana hike you can see ibex and the rock hyrax, but to see wolves or other animals is not common due to their nocturnal activity and aversion to humans. NN: Have you had any encounters with wolves? AH: Yes, wolves will occasionally try to make off with our goats. A few years ago I was sleeping inside my home and I heard a lot of noise outside. When I rolled up the edge of our tent I saw a wolf 2 meters away from me wrestling with two of my dogs. The dogs drove off the wolf, but we then had a bigger problem. When goats smell wolves they become very frightened. Our entire herd broke out and scattered forcing us to chase them barefoot in the night. Fortunately, we saved all of our goats. NN: Any other interesting run-ins with animals? AH: Well, goats and ibex have the same breeding season, and I remember quite a few years ago during the breeding season seeing ibex just behind the lodge while I was out with our goats. NN: That is quite remarkable. I’ve only seen them in Wadi Dana up in the mountains. AH: During the breeding season it is not rare to see them much lower and closer to Feynan. NN: Finally Ali, I would like to ask you how tourism can benefit local people while also preserving their way of life? AH: If you follow the community’s way – their tradition and religion, you will enable opportunity while preserving your traditions. 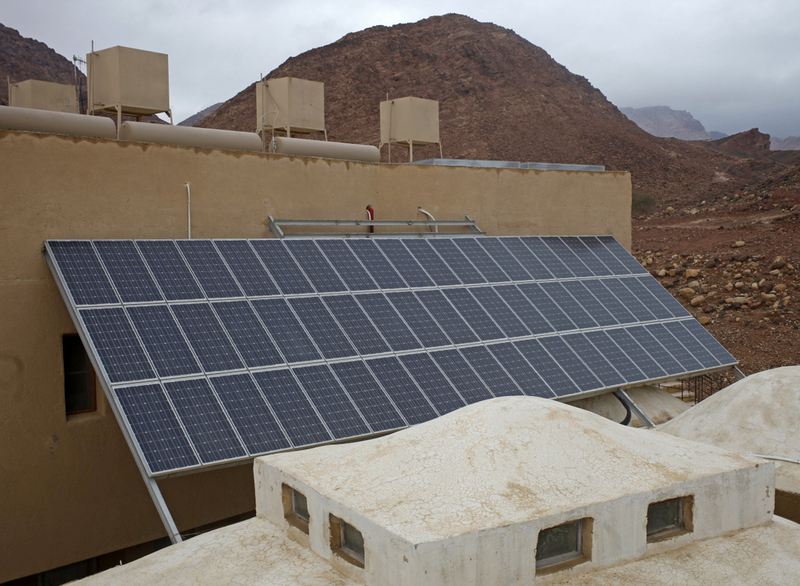 Feynan Ecolodge is an example of this. I only consider myself a morning person, or someone who gladly and willfully awakes early, on two occasions: when heading off to the airport for travel or when I am in the wilderness. Feynan Ecolodge falls under the latter of the two and last week I was up early preparing to explore new routes for hikes. Believe me, it is easy to get up early when the view out your window is so inspiring and all that untamed nature is begging to be explored. As I left my room and met Nabil Tarazi, our Managing Director at EcoHotels, out front, the sounds from Bedouin tents in the distance–goats bleating and roosters crowing on the dawn set the stage for the beginning of the new hike we were to explore. As we left Feynan, Nabil pointed to the mountain we would scale, “That green one there, no behind that one, the taller one.” I was going to need to stretch. We set off up a gentle slope just to the east of the lodge. 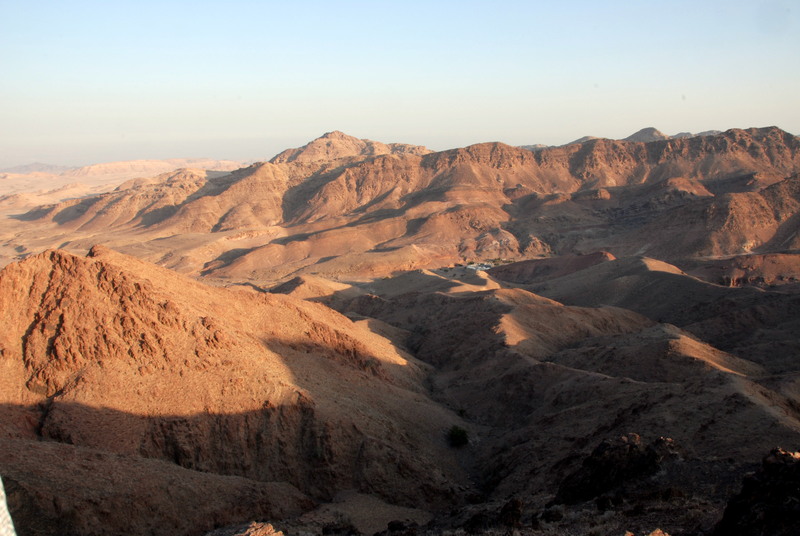 Finding a Bedouin shepherds’ path we gradually began zig-zagging up the hills that lead to the Shara’a mountain range that separates Shobak, Petra and Dana Village from the desert plains of Wadi Araba. I wondered just how long this had been a path and how many people over the 12,000 years Feynan has been inhabited for had walked the same route. Suddenly I became aware of the altitude gained, looking back, the lodge was much lower than us and sheer falls to either side began to form. I stopped often to peek over the edge and gaze into the wadis below the steep banks. A gnarled tree grew out of the banks just above the wadi’s shaded floor and shallow caves lined the cliff walls. Now we were exploring, and the fresh air, new sights and chirping birds woke me up better than morning coffee back at home ever does. It was already light out, and rays of sun were escaping over the eastern ridges and lighting up the valley below in shades of orange and bright rust. It was a good thing I was awake, because now these shepherds’ paths started to become serious. 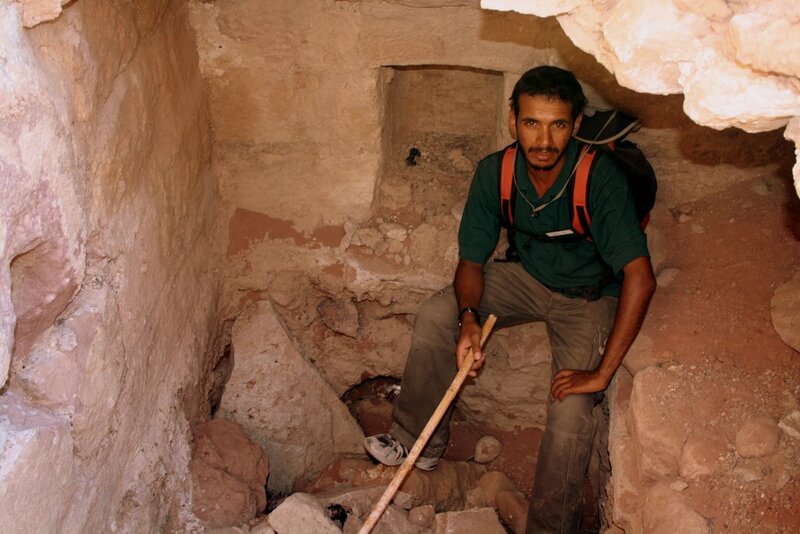 I saw Nabil 10 paces ahead cross the top of a ravine and turn right around a tall promontory of rock mass. To the left the slope gave way exposing a cliff around a hundred meters tall. I followed and found my feet tracing the very ridge line of the mountainous hill we had climbed. The view was inspiring and we could begin to see the villages of Greigra and Rashaydeh to the south. To the east, the mountain-hills we had climbed were giving way to real peaks, in different shades of greens, browns and tans. One more climb stood before us and we’d reach the top of our green little mountain. An ill-advised sprinting/scrambling contest began which left no clear winner and two very out-of-shape participants gasping for breath at the top of the final hill. The view was magnificent in those early morning hours and I quickly forgot about my own panting. I could see the entire 9 km stretch of dirt road linking Feynan to the world, beyond that villages and beyond those villages the dunes of Wadi Araba-perhaps even Palestine. Adjusting my focus down below, I could make out the archaeological ruins of the people who once lived at Feynan: Neolithic ruins and graves, a Roman aqueduct and the remnants of a Byzantine town. Beginning our descent along a different route, we engaged some sections that required turning around and facing the rock to lower oneself down carefully. It was nothing too advanced in terms of climbing, but an area to definitely be mindful in. 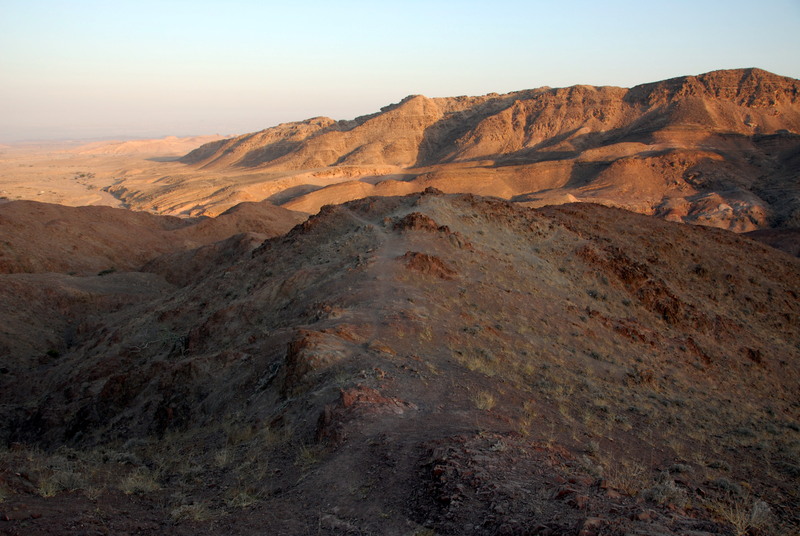 After negotiating the steep of it, we were back on shepherds’ paths, probably often used by the family members of Abu Khalil, whose summer and winter tent areas we had just circumnavigated. On the last flat foothill, before intersecting the road to the lodge, we witnessed the community fully awake as well. Bedouin women were walking with baskets perched atop heads in the distance, a child mounted on a donkey going off somewhere and hundreds of goats scurrying off to find water. The new Sunrise Hike will begin being offered this fall. Recommendations are welcome for a name. 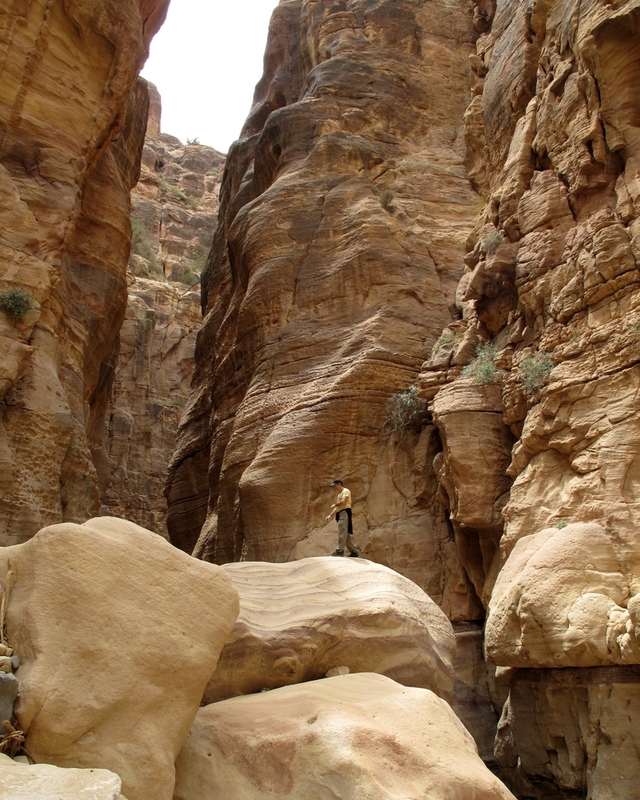 Suggestions thus far include the Abu Khalil Sunrise Trek, Exhilarating Sunrise Trail or Ridgeline Dawn Hike. 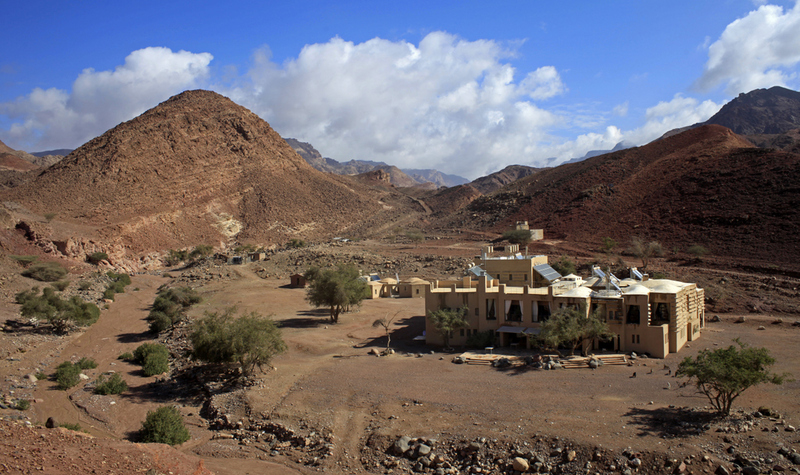 The guided hike takes around 2.5 hours to complete and will be an inspirational start to adventure filled days at Feynan Ecolodge. For reservations or more information, please visit Feynan.com.